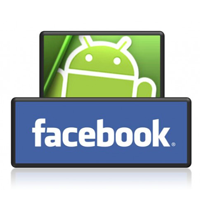 Facebook’s Android application is one that has seen improvement, after improvement and now little resembles the original version. The current Facebook apps are filled to the brim with features, settings and options and have come a long way since we all used to slag them off. Being a big Android head, here are my favorite ways to get the most out of the Android Facebook app. The New Feed comes with an option to sort out your news stories by chronological order, thereby bypassing the EdgeRank algorithm. Changing it is quite easy once you know how. Simply tap into the three bar menu on the top left and then click on the gear beside News Feed. This will then allow you to change. It does re-set itself sometimes, but it’s a good way to change your feed. Do you have some options you use more than others? Well, it’s possible to highlight and optimise the left hand menu to display the options you want and discard of the ones you don’t. Simply, sort them out by dragging starred items up and down the list on the left sides. Notifications come at a time when you most likely don’t want them and if you’re really popular they’ll start clogging up your account. However, you can manage them by going to the left hand menu and then clicking on Account > App Settings. From here you’ll find the Notification Settings and can change turn off less important activity notifications. It’s also possible to turn them off fully with a click of a button. It’s possible to promote posts with your mobile phone directly. If you’ve got to manage your business or your brand from a mobile phone, there is often an option ‘Boost my Post’ from below the option or the content you’re sharing. If you tap this you’ll be able to get increased visibility and a number of prices will come up to. After that it becomes quite self-explanatory, so just pay with your card and there’s no need to promote on anything larger. Facebook like any app accrues rubbish and junk and clearing the cache prevents it getting bogged down. So, if you go to your phones Settings> Apps > Facebook you can then clear it out – especially important for busy brands. By doing this you will ensure the app seems a lot less busy and a lot faster to use. Beware Clear Cache and Clear Data are beside each other – don’t confuse them as it could erase your name, password and other data. Facebook is by and far and away not the slowest app on Android and the Fast for Facebook App provides you with a snipped down version of the site. It’s extremely fast, though doesn’t offer the experience the official app does. It is a case of speed over substance, but it depends on what you want. Facebook is getting much better at mobile and with these few tips you can be sure you’ll be using it more so in the hand over the desktop.